The Global Volcanism Program has no activity reports for Udina. The Global Volcanism Program has no Weekly Reports available for Udina. The Global Volcanism Program has no Bulletin Reports available for Udina. 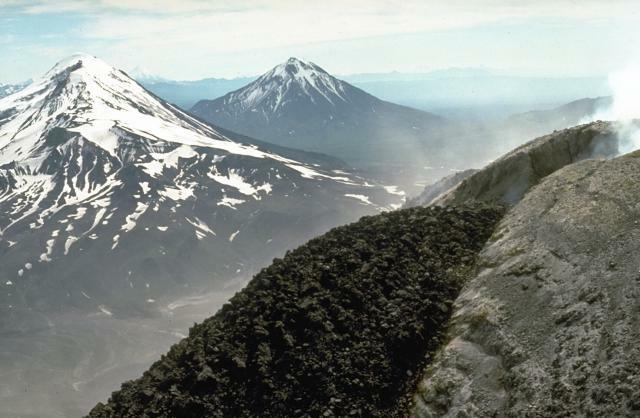 The Udina volcanic massif consists of two conical stratovolcanoes constructed along a WNW-ESE line at the south end of the Kliuchevskaya volcanic group, SE of Tolbachik volcano. 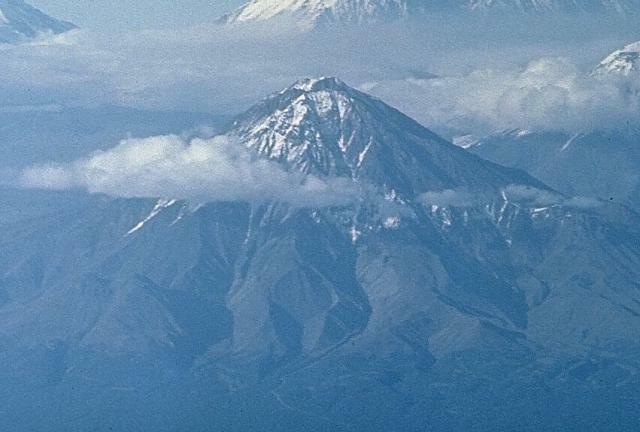 The andesitic western volcano, Bolshaya Udina, has a prominent lava dome on its SW flank. The basaltic Malaya Udina rises above a low saddle at the eastern end of the complex; small lava domes also occur on its flanks. The Global Volcanism Program is not aware of any Holocene eruptions from Udina. If this volcano has had large eruptions (VEI >= 4) prior to 10,000 years ago, information might be found on the Udina page in the LaMEVE (Large Magnitude Explosive Volcanic Eruptions) database, a part of the Volcano Global Risk Identification and Analysis Project (VOGRIPA). There is no Deformation History data available for Udina. There is no Emissions History data available for Udina. 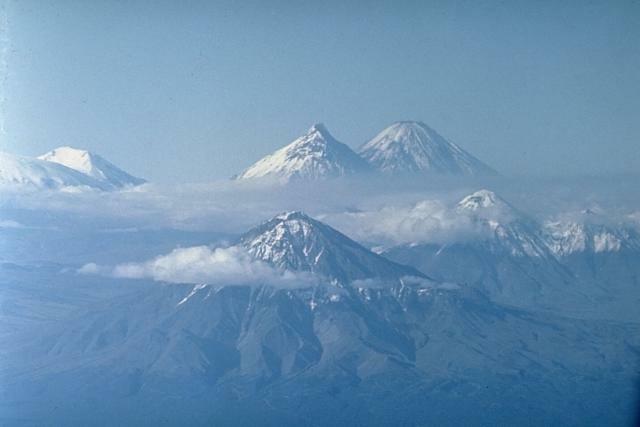 The Udina volcanic massif consists of two conical stratovolcanoes constructed along a WNW-ESE line at the south end of the Kliuchevskaya volcanic group, SE of Tolbachik volcano. 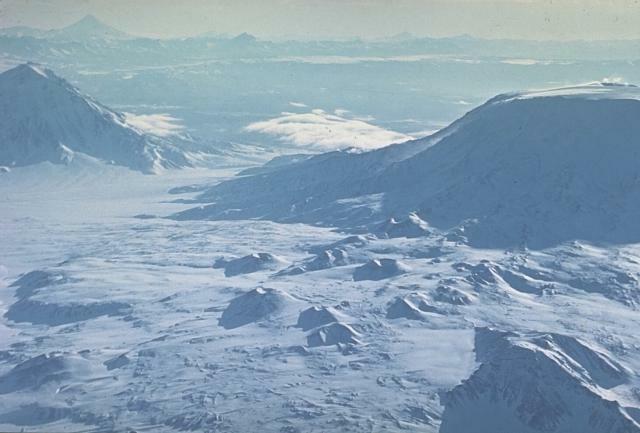 The western volcano, 2923-m-high Bolshaya Udina, seen here from the south, has a prominent lava dome on its SW flank. The 1945-m-high Malaya Udina, out of view to the right, rises above a low saddle at the eastern end of the Udina complex; small lava domes also occur on its flanks. No historical eruptions have occurred from the Udina complex. There are no samples for Udina in the Smithsonian's NMNH Department of Mineral Sciences Rock and Ore collection. Large Eruptions of Udina Information about large Quaternary eruptions (VEI >= 4) is cataloged in the Large Magnitude Explosive Volcanic Eruptions (LaMEVE) database of the Volcano Global Risk Identification and Analysis Project (VOGRIPA).